I wrote a short note on Richard Mosse some time ago. The Enclave, as presented at Foam in Amsterdam, is the most remarkable exhibition I have seen in a very long time. 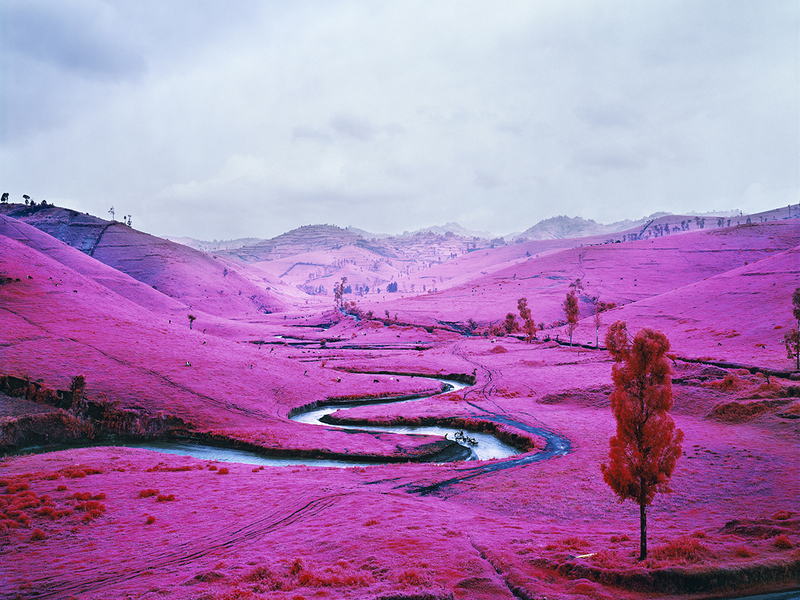 Richard Mosse is showing his work all over the world, and if he turns up in a place near you – you should not miss the opportunity! I think so too. It’s a very well done project. Beauty is not a tool. Beauty is not a knife. This is horror trying to congratulate itself for something that survives despite it, not because of it. No this is art using beauty in a perfect way; to convey a world we have to see – even if it makes us sick. I didn’t find it beautiful. I didn’t find it art. It was just an unusual pink treatment. I thought about a woman standing at the side of the road in the video. She turns and looks at the camera. That moment was beautiful. The rest is Peptobismal. He is a disturbing man with a trick to share. He can call it what he likes, it doesn’t make anything than what it is a cheap trick. Photojournalists at least weep. And the assumption that we “have to see” is odd. Why? So we can become desensitized when there is no understanding and only a parade of horror for our eyes? We can be too clever. We must never be too clever. Art can end up eating its own head. Well, this might not come as a surprise, but I really cannot support your point of view here. I went to see The Enclave at FOAM, and together with a large audience I spent hours in the installation. It’s very cinematic, very beautiful, and exceptionally well made. No cheap tricks involved. This is definitively great art. Have you seen the installation? I appreciate the opportunity to express a different point of view! No, unfortunately I have not. I fear the short was perhaps not the best representation of the body of work but I could only comment on what I did see. Eerily frightening, but hard to look away from. I think I would need to see it in its installation.